Follow all local laws and guidelines. Kilted to Kick Cancer is an IRS 501 c 3 charity so please represent us respectfully. Technically you are a “bundler” or person who bundles donations to be submitted as a group. We expect our Kilted Army to be upright and honest. Wear a kilt for the month of September, Prostate Cancer Awareness Month. If you’d prefer to raise funds without going kilted, that’s okay. Kilts aren’t for everyone. But seriously, give it a try. It’s liberating! Post a photo of yourself in your kilt on the front page of your blog, with a link to the Kilted to Kick Cancer homepage. 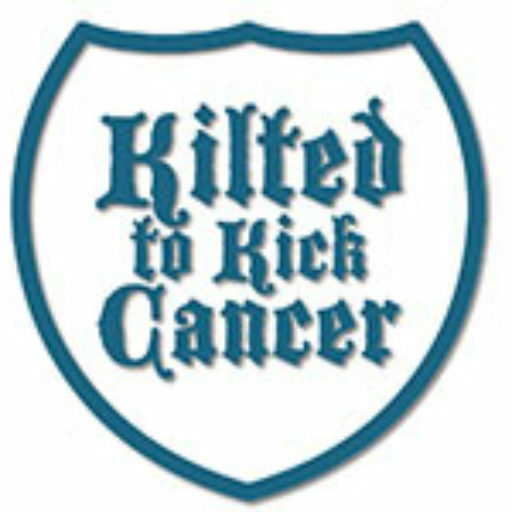 If you’re not going kilted, then put up the official Kilted to Kick Cancer badge or logo in lieu of a photo. Change your avatar, spread the word! Sign up as a donor to Kilted to Kick Cancer, a 501(c)3 charity. Email justin@kiltedtokickcancer.org and register your team name and you’re in! All fundraisers from last year are already in this year’s challenge by default. Join us! Solicit donations and guide your followers to http://kiltedtokickcacner.org/shop From here they can choose a donation amount and, on the checkout page, they will choose your team from the drop down menu. Don’t worry, you can’y donate without picking a team and there is “General KTKC Donation” for those who choose to donate without choosing a team. You can start fundraising as early as you like, and keep soliciting donations all year long, but only the donations made from 00:01 CST on September 1 through 23:59 CST on September 30 will count toward the fundraising challenge. Any checks mailed must be postmarked September 30th or earlier to count. If you hold an event and we are in contact with the organizers and can confirm the amount prior to September 30th, it counts. Top three fundraisers will win a set of nice gifts, generously donated by DAMN NEAR KILT’EM, our official kilt sponsor. What are the prize packages? Glad you asked! May we recommend the Smithy, shown here, or perhaps the Tactical HM wears with all the sweet buttons and velcro area to represent! Whatever color or style you choose you know it’s machine washable and SUPER comfy to wear. DNKE will send you a Greenhorn kilt in your choice of color, a DNKE hat and T-shirt as well as a KTKC shirt and patches. Built with 100% 230 gram cotton drill. Sizing Guidance: All sizes are 24” in length. Check out our sizing instructions before picking your waist length. Why no shooting and hunting stuff? Many of our past sponsors have felt the squeeze of the economy and elected not to donate this year, and you know what? we’re OK with that. We get it. Thank you to all of our previous sponsors for your support and a special thank you to DNKE for stepping up and offering some great kilts for our winners!